The Income Tax Division is responsible for administering the Income Tax Ordinances: Ch.195 Tax on Earned Income and Ch.196 Municipal Income Tax on Earned Income. Tax Office employees are available to provide assistance in the filing of income tax returns, processing income tax payments, and answering tax questions. Our voters approved an income tax increase on the May ballot. The City of Springfield income tax rate will increase from 2% to 2.4% effective July 1, 2017. This is a temporary increase and will expire December 31, 2022. Employers located in or doing business within the City of Springfield must start withholding Springfield City tax at a rate of 2.4% from the compensation of their employees beginning July 1, 2017. Please make the necessary changes to your payroll software and/or notify your payroll service provider. For courtesy withholders, your employees’ credit for tax paid to other cities will remain the same, (see below) but Springfield withholding should be adjusted to cover their 2.4% liability. The city income tax rate will increase to 2.4% on any taxable income earned July 1, 2017 and after. This includes all wages, salaries, commissions, and other compensation, lottery, gaming, and gambling winnings received by residents of the City or income received by non-residents for work done or services performed in the City. When filing a 2017 tax return, a blended rate of 2.2% may be used to calculate tax liability on the total income. The city income tax rate will increase to 2.4% on any taxable income earned July 1, 2017 and after. When filing a 2017 calendar year tax return, a blended rate of 2.2% may be used to calculate tax liability. When filing a fiscal year return ending or beginning in 2017, the tax rate will be the average of the rates for each month of the fiscal year. For example, a FYE 10/2017 return, would be taxed at 2.13% (8 months of 2% and 4 months of 2.4%). See chart in the “Forms” section for 2017. For those taxpayers who make quarterly, estimated payments, an adjustment to your declaration and payments must be made. For individuals, the credit for tax paid to other cities will not change. You will still receive credit for one half of the tax correctly paid to the other city, with a maximum of one half of the Springfield rate. So, for income earned July 1, 2017 and after, if you work in a city with a tax rate of less than 2.4%, you will receive credit for one half of what you paid that city. If the other city has a tax rate of 2.4% or more, you will receive a credit of 1.2%. For income earned through June 30, 2017, you will owe the difference up to 2% to Springfield. For income earned July 1, 2017 and after, you will owe the difference up to 2.4% to Springfield. The city income tax is levied on the net profits of all unincorporated businesses, rental properties, partnerships, or other activities conducted in the City; and on the net profits of all corporations conducting activities in the City. Annual tax returns are required from any entity doing business within the City. 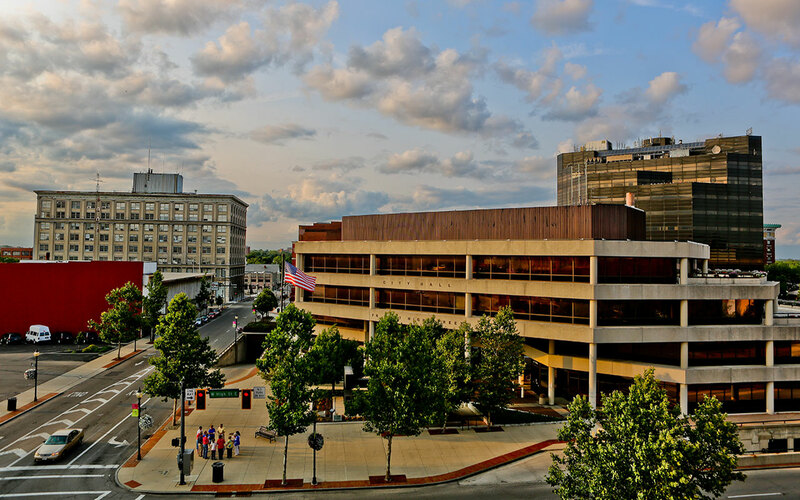 Employers located in or doing business within the City of Springfield who employ one or more persons are required to deduct city income tax from the compensation of their employees. Employee W2s must be submitted to the tax office by February 28th of each year. If using sub-contractors, or paying individuals for services performed, copies of Federal Form 1099 Misc must be submitted to the tax office. An annual declaration of estimated tax must be filed by all individuals and entities that anticipate a tax liability of $200 or more after allowing withholding credits. Estimated payments must be made in quarterly installments. Failure to file and pay estimated taxes in timely, quarterly installments might result in an assessment of penalty and interest charges. These charges will not be made when the total estimated tax payments, received in timely, quarterly installments, are at least 90% of the final tax liability or are at least 100% of the previous year final tax liability, and paid by the Fourth Quarter due date. In order to make current year quarterly estimated tax payments, you can find Estimated Income Tax vouchers here. You can also make quarterly, estimated payments through Tax Connect. Extensions are granted on an automatic basis as long as a taxpayer has received an extension of time to file their federal income tax return. A copy of the Federal Extension Request Form must be received by the Tax Office by the extended due date of the return. An extension of time to file is not an extension of time to pay. Penalty and interest may be assessed on any tax balance remaining due after the original due date. Did you receive a postcard instead of a tax form packet for City of Springfield Income Tax? If you used a tax preparer and/or a generic tax form to file your previous tax year Springfield return, you were sent a reminder post card instead of a tax form packet. The post card has filing information on it including instructions for online filing. Also, attached to the post card is a removable name and address label. It includes your name, address and tax account number. This is intended for you to remove and attach it to your tax return form in the name and address box. If you use a tax preparer, please give the post card to them so they can affix the label to your return. Please refer to “Resident and Business Changes” for new law information. The City of Springfield Income Tax Division has contracted with the Central Collection Agency of Cleveland, Ohio (“CCA”) to obtain Federal income tax information to identify residents who may owe delinquent income taxes to the City of Springfield. You have received an audit notice from CCA because a check of these records indicates that you have filed a Federal Income Tax Return with the Internal Revenue Service (“IRS”) but not a City of Springfield Income Tax Return. You must respond in writing to CCA within thirty (30) days of the date of the notice, even if you reported a loss on your Federal tax return or believe that you don’t have a tax balance due to the City of Springfield. Regardless of income type or final liability, all residents 18 years of age and older are required to file an annual City of Springfield Income Tax Return. Fill out the form located on the back of the notice and enclose a copy of all pertinent Federal tax returns and all Federal W-2 forms. Use the envelope provided with the notice to return your response to CCA. Because Federal law prohibits the City of Springfield from having direct access to IRS information, the City of Springfield will not be able to assist you with questions related to your CCA notice. All questions and correspondence you have regarding the audit notice must be directed to the CCA auditor indicated on the notice. To help you determine if you are responsible for delinquent income taxes, a complete listing of Taxable Items and Non-Taxable income is included on this website. If you discover you have, in fact, received taxable income for which you have not previously filed a City of Springfield Income Tax Return, contact the CCA auditor listed in the notice for information on additional documents you may need to complete to determine your City of Springfield income tax liability. All documentation should be mailed to Central Collection Agency, Division of Taxation, 205 W. Saint Clair Avenue, Cleveland, OH 44113-1503. Regardless of whether or not you might owe a tax balance, all residents 18 years of age and older are required to file an annual income tax return and report all sources of income. The filing of any missing returns is required to bring your account current and to avoid legal action. All tax returns, documentation, Federal Schedules, copies of W-2’s, and payments must be remitted directly to CCA. For information on how payments can be made to CCA, contact CCA at 1-877-878-8587. CCA has provided a name of an Auditor in their Special Audit Department on your audit letter. Please feel free to contact this Special Auditor directly with your questions. PLEASE DO NOT IGNORE THIS NOTICE. Failure to resolve this matter may result in legal action, including criminal charges for failure to file any missing tax filing and/or failure to pay any outstanding balance due. Thank you for your prompt attention. NOTE: For tax years beginning January 1, 2018 and after, the Fourth Quarter due date for Individual’s Estimated Tax is January 15th. (C)(1) Interest shall be imposed at the rate described in division (A) of this section, per annum, on all unpaid income tax, unpaid estimated income tax, and unpaid withholding tax. (A)(4) “Federal short-term rate” means the rate of the average market yield on outstanding marketable obligations of the United States with remaining periods to maturity of three years or less, as determined under section 1274 of the Internal Revenue Code, for July of the current year. (A)(5) “Interest rate as described in division (A) of this section” means the federal short-term rate, rounded to the nearest whole number per cent, plus five per cent. The rate shall apply for the calendar year next following the July of the year in which the federal short-term rate is determined in accordance with division (A)(4) of this section. 2019 – The Federal short-term rate is 2.38%. That, rounded to the nearest whole number %, plus 5%, results in a tax rate of 7% per annum. (.58% per month or part thereof). 2018 – The Federal short-term rate is 1.22%. That, rounded to the nearest whole number %, plus 5%, results in a tax rate of 6% per annum. (.50% per month or part thereof). 2017 – The Federal short-term rate is 0.71%. That, rounded to the nearest whole number %, plus 5%, results in a tax rate of 6% per annum. (.50% per month or part thereof). 2016 – The Federal short-term rate is 0.48%. That, rounded to the nearest whole number %, plus 5%, results in a tax rate of 5% per annum. (.42% per month or part thereof). For tax years 2015 and prior, the prior interest rate of 1% per month remains in effect. the Municipality, and the responsibilities of taxpayers to file, report, withhold, remit, and pay municipal income tax and otherwise comply with Chapter 718 of the Ohio Revised Code and resolutions, ordinances, and rules adopted by a municipal corporation for the imposition and administration of a municipal income tax. Local Board of Tax Review.